I just had to share these beautiful fabrics with you that I purchased the other week. 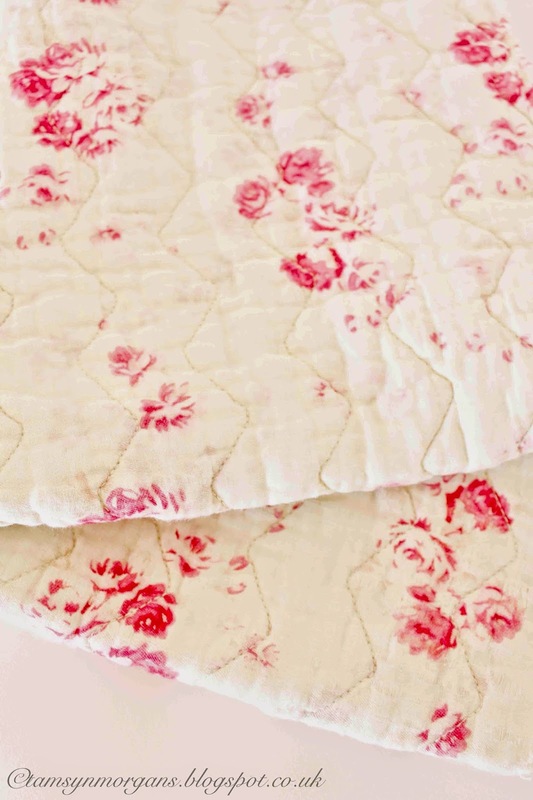 They are sections of softly worn and faded vintage quilts, with the prettiest floral prints. I follow the lovely Emma from Velvet Ribbon on Instagram, and when pictures of these gorgeous fabrics she was selling appeared on her feed, I knew I had to have them! Please do go and check out her website here and beautiful Instagram feed here. I’m saving these pretties for a rainy day craft project, but until then, they look lovely folded up in a little pile in my living room! Sono bellissimi, e penso che diventeranno una creazione unica!!! Oh, what a lovely site Velvet Ribbon is! 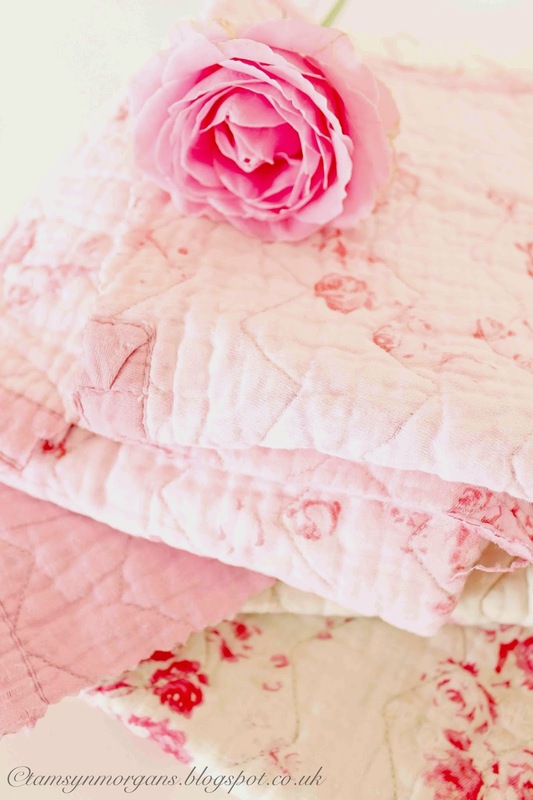 If I could afford it, I would have that antique welsh quilt (the double sided one with the beautiful blue and green background with lovely roses on one side, and the amazing almost chocolate pink on the other with wreaths of white flowers) in a heartbeat! It's the prettiest I've ever seen. 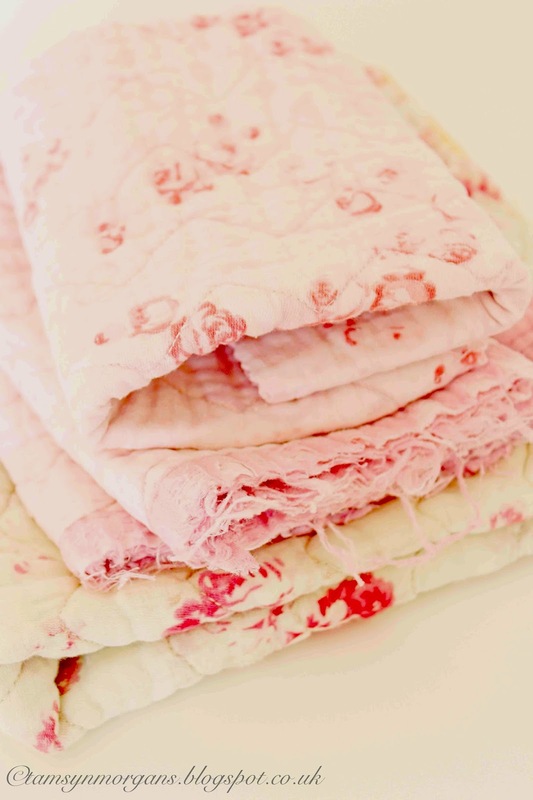 These fabrics are perfectly lovely – so soft and faded. I just checked out her website – lots of lovely treasures and her Instagram is delightful also. Ooh love this idea! It’s awesome! You can get ribbons with 196 colors and 19 sizes for choice from Yama Ribbon!